Last night, the National Book Award winners were announced at a ceremony in New York City, among them the poet Frank Bidart, A.M. ’67. Per tradition, the long lists were released in September with 10 titles in each genre—poetry, nonfiction, fiction, and young adult literature—then halved a month later. This year, the National Book Foundation recognized six books by Harvard affiliates. 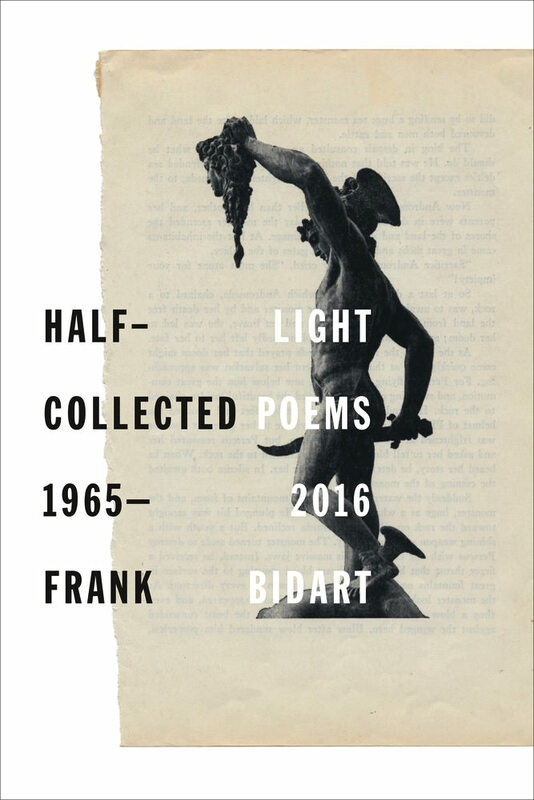 Bidart, A.M. ’67, won for Half-Light, which assembles a half-century’s worth of verse from over his career. In his New York Times review , Harvard Review poetry editor Major Jackson, RI ’07, wrote, "Bidart avoids the pitfalls of therapeutic poetry by ennobling thought itself. There’s something heroic in the maverick poet who shirks conventional aesthetics to make a temple of the mind…Let’s pray his poems continue to aim at the most pressing issues. We need new examples of ways to be free, to slip the constraints of art and life." Four of Bidart's previous collections have received nominations in the past: Desire, in 1997; Star Dust in 2005; Watching the Spring Festival, his book of lyrics from 2008; and Metaphysical Dog, in 2013. Also in poetry, Shane McCrae, J.D. ’07, was a finalist for In the Language of My Captor, his third book. In nonfiction, journalist Frances Fitzgerald ’62 was a finalist for The Evangelicals: The Struggle to Shape America, a comprehensive survey of the country’s history with evangelical politics. Her first book, Fire in the Lake: The Vietnamese and the Americans in Vietnam, won the National Book Award, the Pulitzer Prize, and the Bancroft Prize for History in 1972. Fitzgerald’s fourth book, Way Out There in the Blue: Reagan, Star Wars, and the End of the Cold War, was reviewed  in this magazine’s May-June 2000 issue. It was also a finalist for the National Book Award and a Pulitzer Prize. Long-list nominees included The Color of the Law, A Forgotten History of How Our Government Segregated America by Richard Rothstein ’63, and Kevin Young’s Bunk: The Rise of Hoaxes, Humbug, Plagiarists, Phonies, Post-Facts, and Fake News. In her review, “Believe It Or Not! ,” for the November-December 2017 issue, contributor Niela Orr calls the latter “as exhaustive as its subtitle,” adding, “The revelation of this information is mixed with the disappointment of not having access to such a compendium before now.” In this magazine, Young ’92 was previously featured a 2007 interview (“Rhythms of Race,”  September-October 2007) and as a member of the Dark Room Collective (profiled in “Elbow Room,”  March-April 2016). His 2015 verse collection, Blue Laws, also made the National Book Award long list. In fiction, Charmaine Craig ’93 was named to the long list for Miss Burma, her second novel, based on the lives of her mother and grandparents.